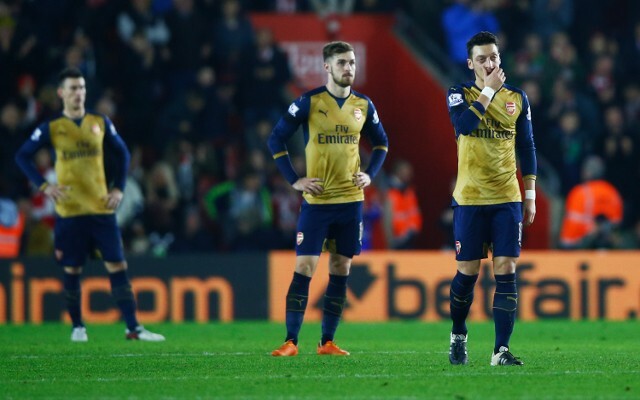 Arsenal missed their chance to go top of the table in spectacular fashion this past Saturday, going down 4-0 to Southampton at St Mary’s stadium. They failed to take advantage of their title rivals faltering, and deserved all that they got after a terrible performance against Ronald Koeman’s side. We were confident heading into the game against Southampton, as we were on a fantastic run, while their form was conversely poor. That confidence evaporated early into the game though, with our shockingly poor performance allowing Ronald Koeman’s side to totally dominate the game. We were really sloppy on the ball, gifting possession back to Southampton at every opportunity. None of our players looked sharp, and you could immediately tell the game was going to be a struggle. After a poor opening 20 minutes, a moment of magic unfortunately opened the scoring. A poor clearance from Per Mertesacker (after a narrowly offside decision went against us) resulted in the ball falling to Southampton’s fill in right-back Cuco Martina. He struck the ball first time, and it somehow flew 30 yards through a crowd of bodies into the far corner. Petr Cech could do absolutely nothing to stop it, and after an abject start to the first half we found ourselves behind. 1-0. There were a few half chances created by us before the end of the half, but the story of the game so far had been Shane Long running our centre-backs ragged, and possession being turned over far too easily in midfield. We conceded a sloppy headed goal from a set piece early on in the second half, with a total lack of effort from our boys allowing Virgil van Dijk to head over Petr Cech in no-man’s land. Thankfully it was correctly ruled out for offside, and we got a lifeline. It would have been nice to see us react and show a little sharpness after that close-call, but we arguably did the opposite. And we were soon punished, with Shane Long finally getting the goal he had been threatening to score all game. Laurent Koscienly and Per Mertesacker were struggling all game, and they were exposed once again by Mane and Long. The Senegalese star was set free down the right, but the German looked like he may recover to put the tackle in. Long blatantly tripped Koscielny off the ball however, and when the referee ignored his pleas Mertesacker was left two on one. Mane squared the ball across goal, and Long finished it off with a simple tap in. Shocking refereeing. 2-0. We conceded a sloppy goal from a corner soon after, although the corner should have been a free-kick. Another shocking decision from the officials. It was poor defending nonetheless though, with Alex Oxlade-Chamberlain tasked with marking Jose Fonte, and the Portuguese defender getting the run on the ball to head home. 3-0. We never looked like getting anything from the game, and things went from bad to worse when Shane Long completed the scoring with a finish through Cech’s legs. 4-0. It was the poorest we’ve seen from Arsenal in quite some time, and we unquestionably didn’t deserve anything from the game. Everything went against us though, and it just wasn’t our day. Last time we lost badly against Southampton we went on a fantastic unbeaten run for the rest of the season, so hopefully this is an omen. The league is incredibly open this season, so although we’ve missed our chance to go top, the title is still arguably ours to lose.